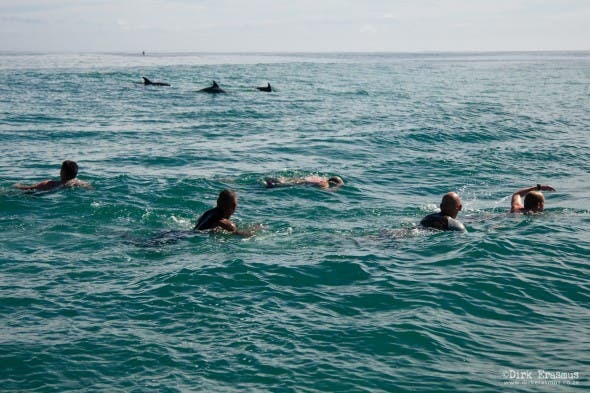 Dolphins (and a shark) Join Swimmers in PE Bucket-List Swim! 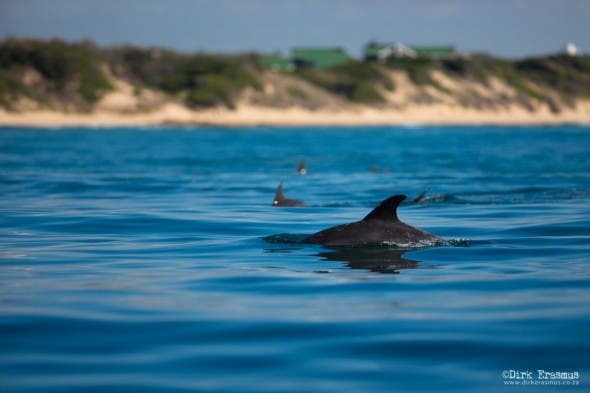 Swimmers competing in the Wildside to Pollock Swim in Port Elizabeth, South Africa, this last weekend were joined by a playful pod of dolphins – not to mention a two-metre shark! 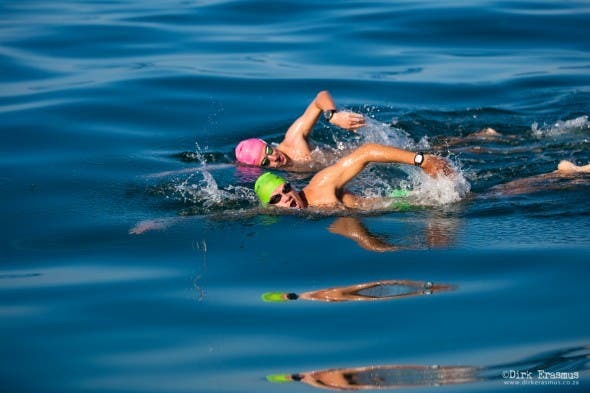 – in a long-distance challenge that is destined to become a bucket-list swim in years to come. 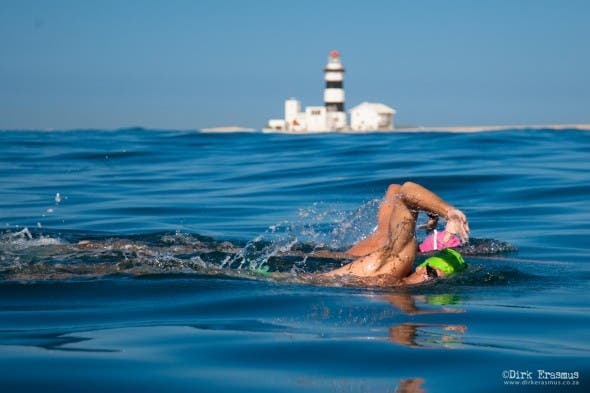 The intrepid bunch of swimmers, from the Eastern Cape, successfully rounded Cape Recife during an 11 km swim which has been recognised by the Cape Long Distance Swim Association (CLDSA). 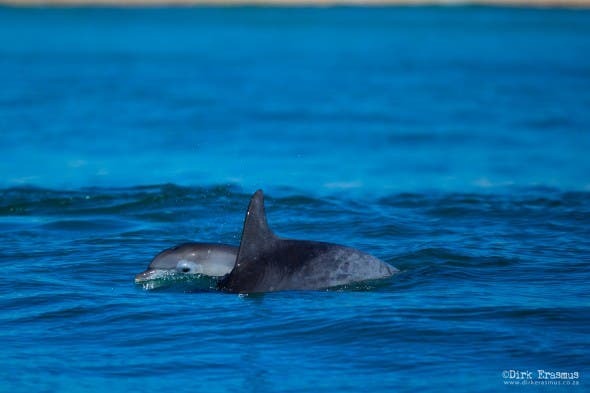 As can be seen from the photographs by Dirk Erasmus, they swam in near perfect conditions with glassy water that was a comfortable 21 degrees celsius. 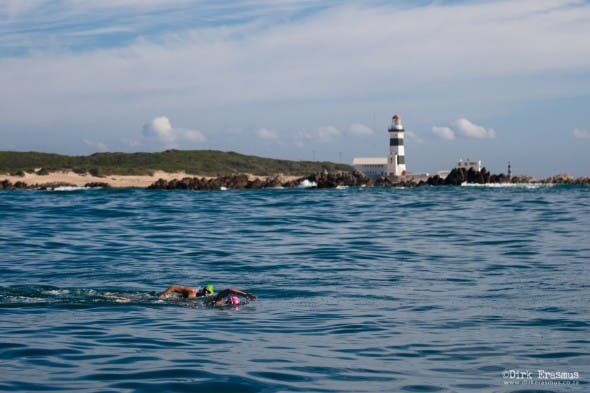 “It was only when we got to the Cape Recife headland that we encountered a strong counter current that saw the swimmers having to up their game and fight though the current,” said PJ Duffy, swimmer and organiser of the swim. The seven swimmers were split into two groups, each accompanied by a boat and a paddler. 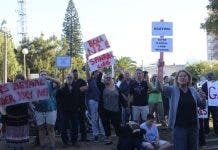 It was the second group that was buzzed by the two-metre shark, shortly after rounding Cape Recife. 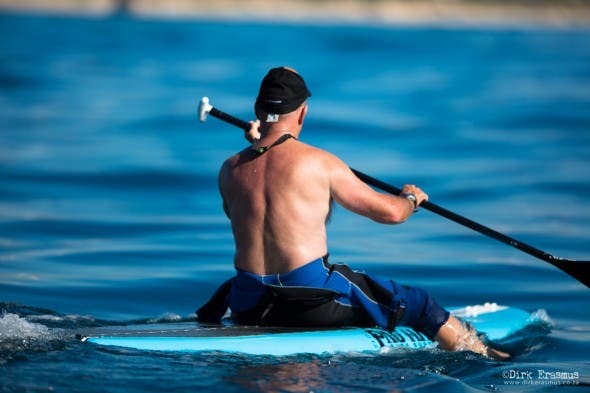 Under the watchful eye of experienced support paddler Terry Olivier, the shark was deemed to be non-threatening…even though it followed the swimmers for quite a distance! 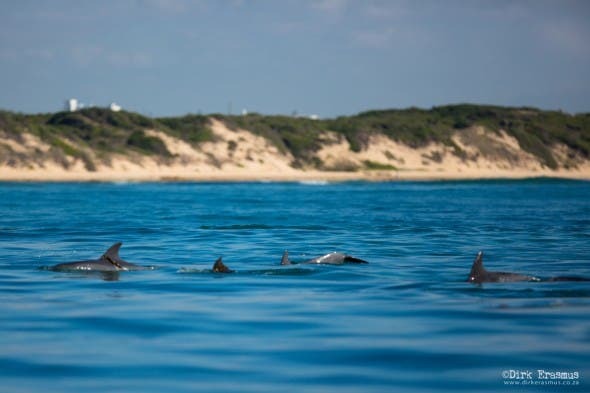 However, none of the swimmers were prepared to let currents or wildlife get in their way of successfully rounding Cape Recife. And at the sight of the somewhat friendlier dolphins, support staff jumped in for a swim too. 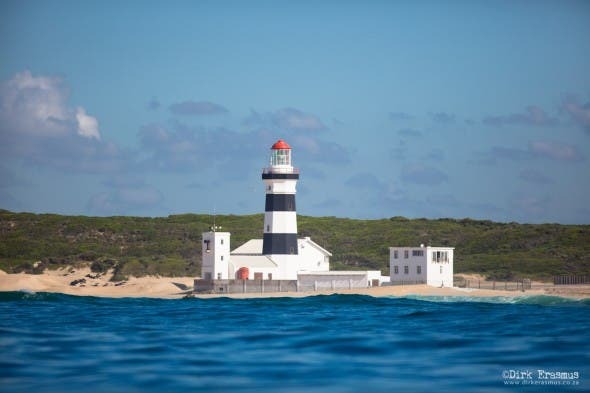 The southern coastline of the vast African continent is guarded by Cape Point on the South Western tip and by Cape Recife on the South Eastern tip. Sailors who discovered this magnificent coastline 600 years ago would never have dreamt that one day people would be swimming around these Capes with nothing on but a speedo, goggles and swimming cap! American swimmer Lyn Cox was the first to swim around Cape Point in 1977. Since then, around 40 swimmers have taken on that (far colder!) swim. The group who took on the Cape Recife swim on Sunday included Duffy (who has Bell Bouy Challenge and Shipwreck swim titles to his name), Kevin Grey (winner of the JBay Cold Water Classic) and Iain Geddes. Both Grey and Geddes have a Robben Island crossing under their belts. 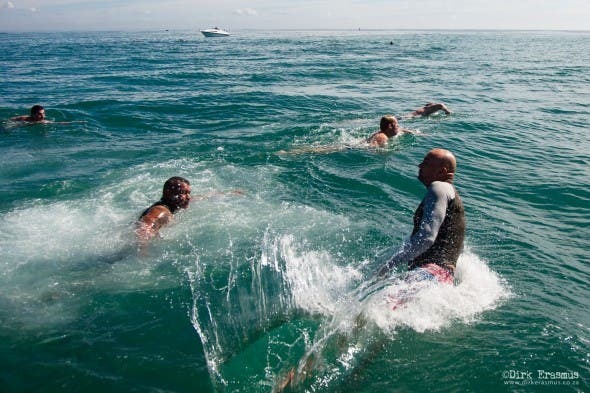 Richden Jute and Ralph West, who also competed, are two of the very few swimmers known as the ‘legends of the Bell Buoy’ for having completed all six of the Bell Buoy Challenge swims. 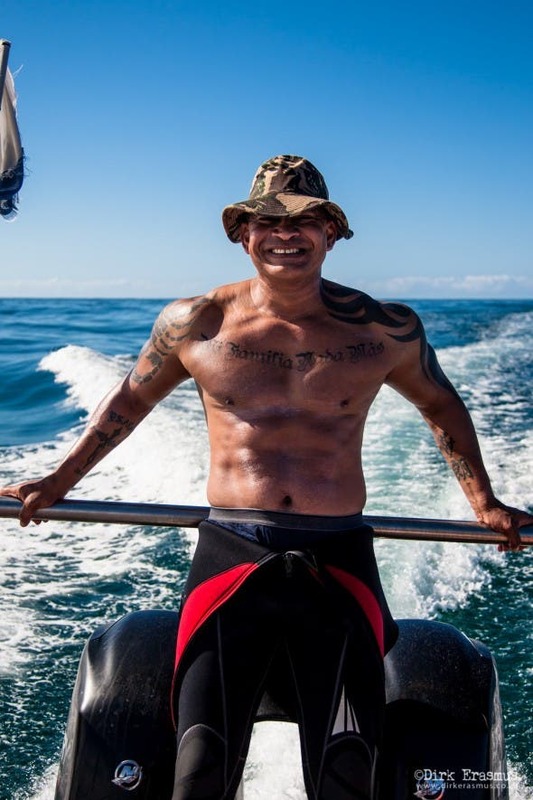 They were joined by South Africa’s open water butterfly swimmer Brenton Williams, who became the first swimmer to ever round Cape St Francis, when he successfully swam around both Shark Point and Cape St Francis in 2014. Rudi Schoeman, the youngster in the group was the seventh swimmer who completed the Cape Recife swim. PJ Duffy finished first in 3 hours 17 minutes. Previous articleVIDEO – Best Ever South African Ad! 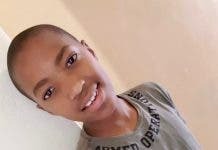 SA is One of a Kind! Next articleCape Town Photos Today as Fires Continue on Hottest Day in 100 Years!